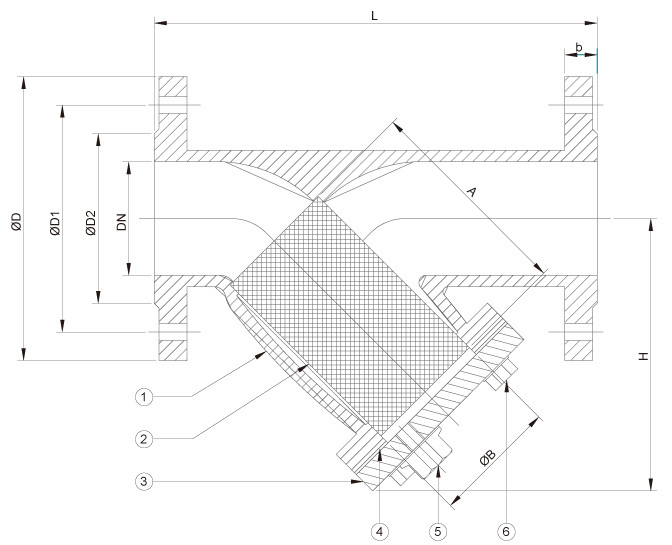 Series S12 flanged ductile iron Y strainer is designed to let the flow pass the screen so that sized particulate is captured and retained by the screen. They are most commonly used in pressurized lines, gas or liquid, but can also be used in suction or vacuum conditions. They are intended for applications where small amounts of solid particulate are expected, and where clean-out will be infrequent. If solids will flush easily from the screen, and fluid can be exhausted to atmosphere, a blow-off valve on the drain port will allow clean-out without removal of the screen, and without interrupting the process flow.